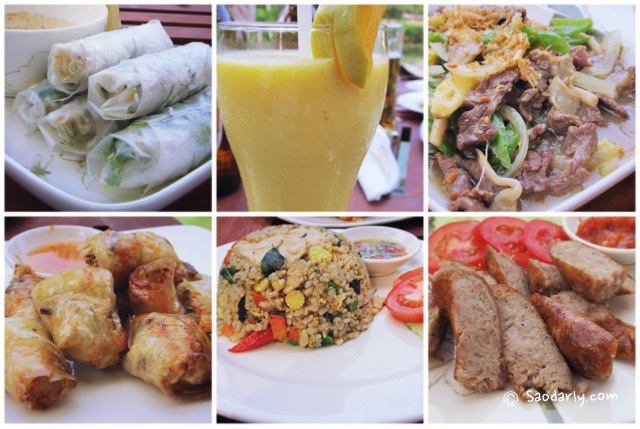 I enjoyed the delicious Lao Food served at Roots and Leaves Restaurant in Luang Prabang so much that I told my new four friends that I made during my vacation at the World Heritage Town. They wanted to try out the food so we all went there for lunch together. 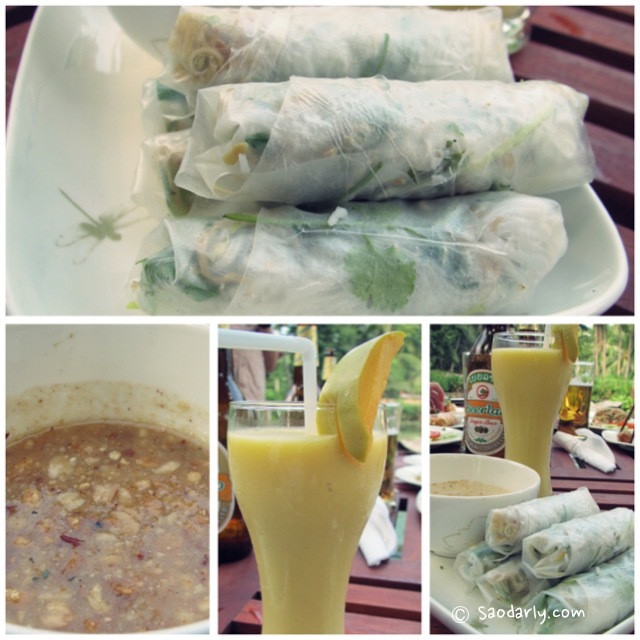 The weather was nice and warm and called for Fresh Spring Rolls and Mango Shake to go with my meal. 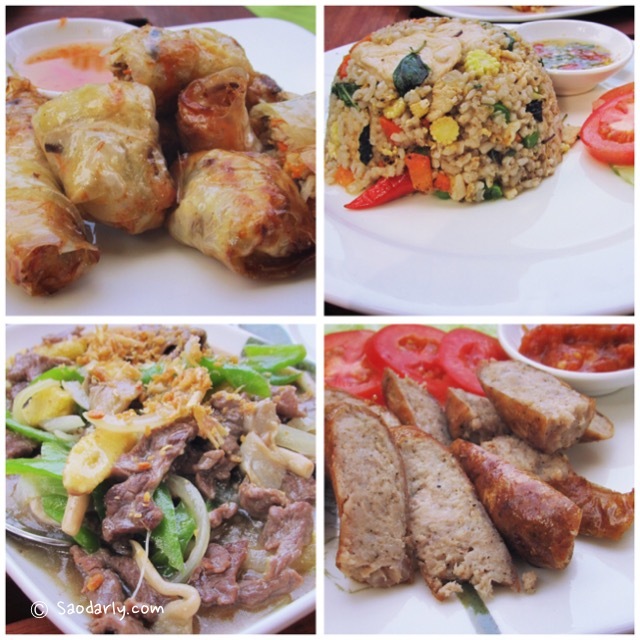 My friends picked their favorite Lao Food dishes such as Fried Spring Rolls, Fried Rice, Luang Prabang Sausage with Spicy Tomato Chutney, and Fried Beef with Vegetables. 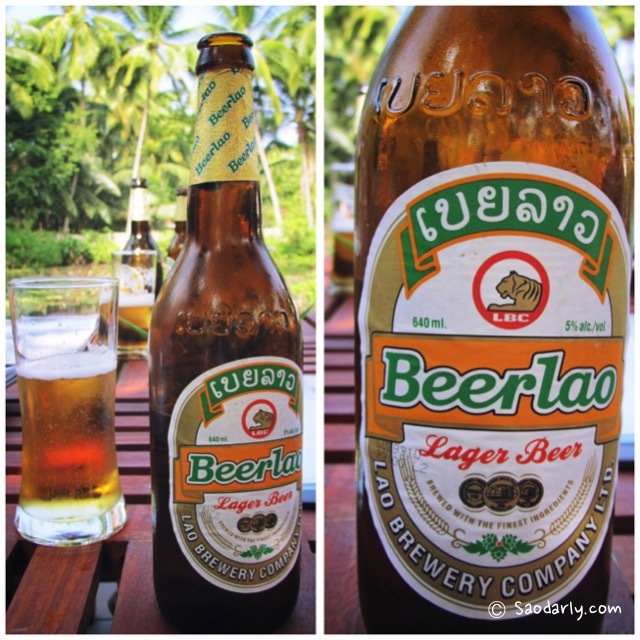 They alaso ordered some BeerLao to go with their meal.